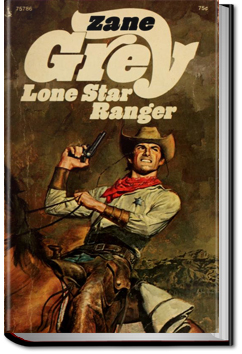 Buck Duane, son of a famous gunfighter, falls prey to the old problem – called out by a cowboy who wants to make trouble, Duane kills him and then must ride off to the lawless country near the Neuces River to escape being arrested and perhaps, hanged. His brief encounter with deadly gun play has ignited a deep urging to repeat the adrenaline rush but is tempered by ghosts that haunt his sleep. He only dares to release his inner demon when he is taking down an outlaw who is particularly known for his brutality. He develops a reputation for killing the most notorious Texas outlaws, which draws an unexpected interest: a captain of the Texas Rangers offers him a pardon and a ranger’s badge if he will infiltrate the gang of the shadowy figure known as “Cheseldine” who wields vast power in West Texas, and make it possible for the Rangers to break the gang’s hold on the region’s towns. Duane accepts, never guessing in his wildest nightmares that he would sniff out this Cheseldine, his hideouts, his lieutenants… and fall in love with his daughter! This entry was posted in Action/Adventure Books on January 6, 2016 by allyoucanbooks.